GENEVA (Bloomberg) -- Continental will buy Elektrobit Oyj's automotive business for 600 million euros ($680 million) as the German supplier creates systems to enable automated driving. Elektrobit, a Finnish maker of software and hardware, will change its name to Bittium Oyj once the deal is complete and will pass most or all of the sale proceeds to shareholders, the company said in a statement today. Investors holding 46 percent of Elektrobit stock have already agreed to the deal. Growing demand for technology allowing cars to travel at least partly free of a driver's control has encouraged takeovers in the components industry, including ZF Friedrichshafen's purchase this year of TRW Automotive Holdings. The market for automated-driving systems might total $42 billion by 2025, Boston Consulting Group estimated in January. "This is a small acquisition for Continental, but it makes sense to strengthen their software business," said Juergen Pieper, a Frankfurt-based analyst with Bankhaus Metzler. "The price looks expensive but it's a future-oriented company." Automotive electronics are a major part of Continental's strategy to increase annual revenue by at least 45 percent by the end of the decade. The manufacturer has announced partnerships on automated driving in the past two years with U.S. companies International Business Machines Corp. and Cisco Systems. Elektrobit said today that it's dropping a plan outlined in February to spin off its wireless division with a separate stock listing in mid-2015. Instead, an extraordinary shareholders meeting scheduled for June 11 on the original spinoff will convene to approve the Continental deal. The purchase is targeted for completion in the third quarter, Continental said. The Finnish company's automotive unit generated 22.4 million euros in earnings before interest, taxes, depreciation and amortization on sales of 171.4 million euros last year. 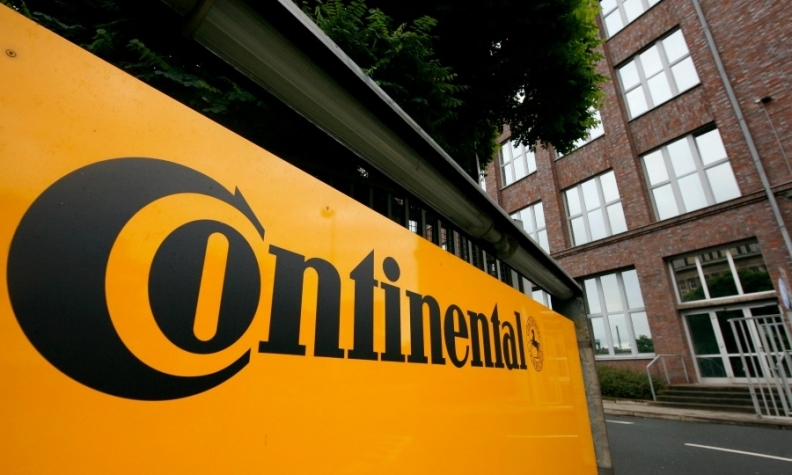 The business has a workforce of about 1,900 people, Continental said. The disposal will result in a one-time boost to Elektrobit's net income of 530 million euros, the Finnish company said.